Adorable! Looks so-so good and tasty! Oh wow, this is exactly my kind of food! I've always love the goat's cheese - fig combo, but I've only tried it in salads. This is just perfect for this time of the year! I have never had pigs before, this seems like a great way to try them for the first time. Helene, Wishing you peace as you move through this exciting (and hopefully not too frenetic) time! Congratulations on all your changes. May your new life bring much happiness. Looks scrumptious. Such a great combination! I think I might try this with a walnut meal crust. Love the nuts, goat cheese and figs together. Thanks for the inspiration! This is the best combination of flavours. i hope you get to have a little break soon enough. Oh I like that! I made zucchini and goat cheese tartelettes last week. I am going to try this combination. Figs are one of my favorites. I'll have to make these next week (once all of the biscuits are finally gone for shortcakes). How divine! 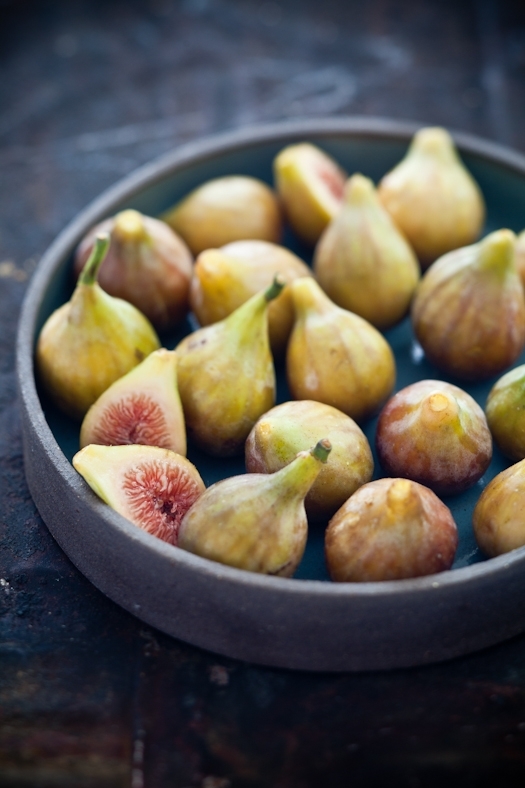 I can't wait to try this recipe....especially now during fig season! Beautiful post, pictures, words, thoughts.. Thank you! Thank you for sharing your success with us. Others people's success bring usually jealousy or inspiration. Life is a journey and your journey is inspiring me. Thank you and don't stop! I love fig tarts, and the figs at the markets are finally starting to get nice and plump and red in the middle. I love the combination of figs with goat cheese too! Congratulations on the new job! That's so amazing. 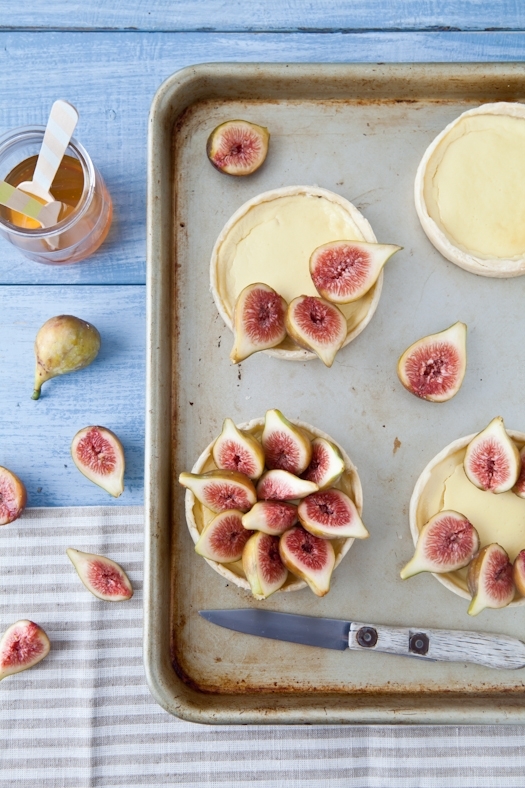 These fig tarts with goat cheese are so gorgeous. beatiful post, love the photos. Congratulations on your new gig, Helene! It sounds like an incredible opportunity and I wish you all the best on your new journey. Now these tarts - they look fantastic. I can't wait until figs are in season again in Australia and I can cook with them again. Good luck with the move and remember to not fill large boxes with books!!!!! You **will** kill your back! 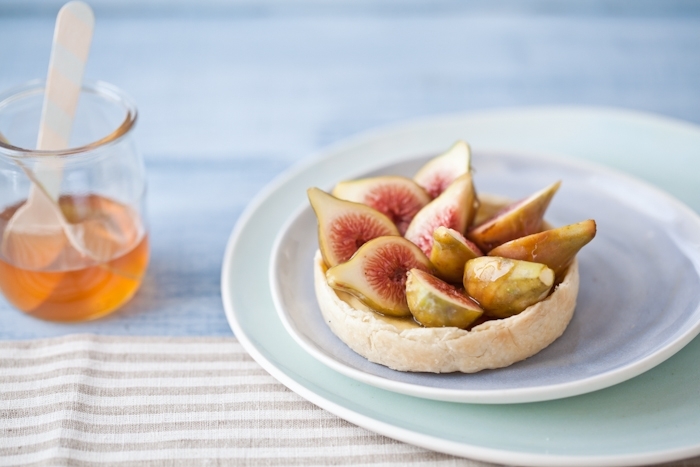 J'aime aussi les figues, de toutes les façons ... tes tartelettes ont l'air délicieuses, merci ! A friend who is a photographer recommended your book, Plate To Pixel. I've thoroughly enjoyed reading it! I'm only on the fourth chapter, and already you've taught me so much. :) You make learning to shoot food far less intimidating. Congratulations on your new job! Bonne chance! Gorgeous photos as always! Good luck on your move! I hope you love your new home! Wow that looks incredible. Thanks for sharing. I can only imagine the chaos your life is in at the moment with everything happening at the same time! All good things though so that makes it worth the while! And well these gorgeous tarts I could have any time! 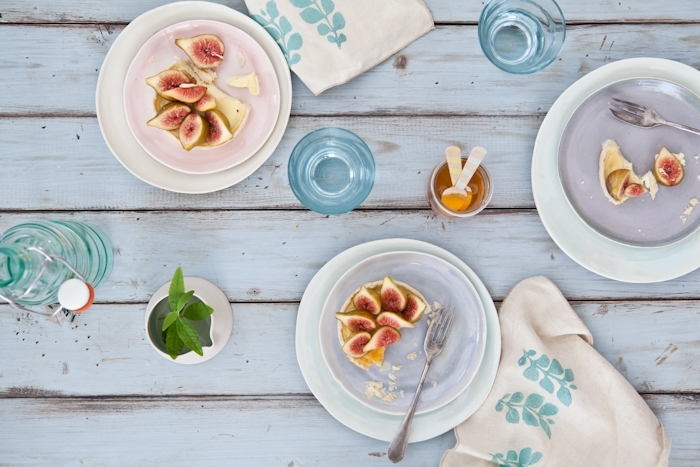 I don't like fresh figs so much, but when I see such photos... I believe they are gorgeous :)!